There is no simple formula. There is no single path. It can be difficult work, but all parties are rewarded when highly synergistic solutions are found. We have found that following a tried and true path can be a cost-effective way to achieving a low-energy building, most importantly with a focus on the building envelope. 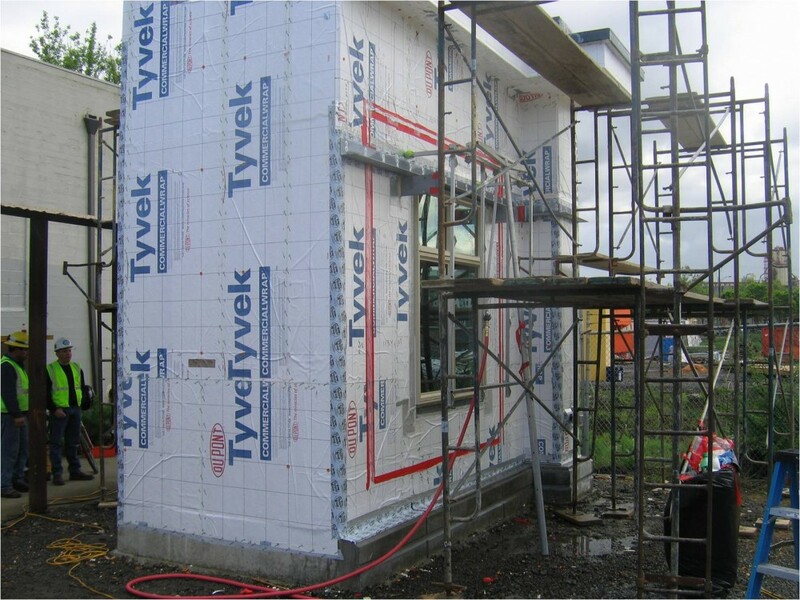 The building should be wrapped in a highly-insulated, airtight, watertight envelope designed for durability and low maintenance. To deliver an envelope system that will manage moisture effectively we develop proper assembly designs and detailing of the claddings, the water-resistive barrier materials and all required flashings. We use an analysis process that traces the continuity of the water-resisting plane through the building section drawings and details. If we detect a discontinuity we report it to the design team, and offer solutions to achieve the necessary continuity. As the design team concentrates their focus on the project details, we also narrow our focus on the constructability and cost of those details, the interface between systems and materials, and the continuity of critical control layers within the building envelope. The continuity of those control layers will be essential to delivering buildings of superior quality construction. We have also found that one of the most cost-effective ways to deliver superior quality is to ensure the design and installation of a robust and continuous air barrier at the building envelope. Improved indoor air quality and occupant comfort, increased structural durability and greatly improved energy efficiency are among the benefits of a well-designed and properly-executed air barrier. A well-insulated, airtight building enclosure ultimately depends on the active, collaborative engagement of knowledgeable, diligent professionals, at all points along the project process, on all sides of the table, working to get the job done – one project at a time. This has been the focus in the development of the quality management process at WALSH.